We are happy to present to you, our full line of Delicious Jams and Jellies, made from the highest quality Fruits and Berries from this last summer, with Organic Cane Sugar and Pectin. Most Jams also contain Apple Juice, Citrus Juice and Zest (Lemon, Lime and/or Orange) Cinnamon, Allspice, Cloves, Nutmeg and/or Vanilla. All our Jams are made using low-sugar recipes so that the flavor of the fruit really comes out. Approx. 66% Fruit to 33% Sugar. We can ship anywhere in the US, except Hawaii and Alaska. Minimum order is 10 jars. We can usually ship within a week from receiving the payment for your order; we can run a card over the phone or you can mail us a check. 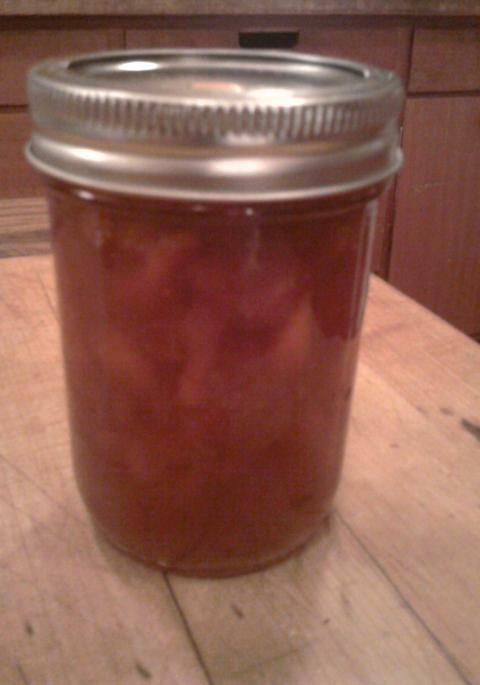 If we need to make a new batch or batches of jam to fill your order, it may take an extra 1-3 days to do that. 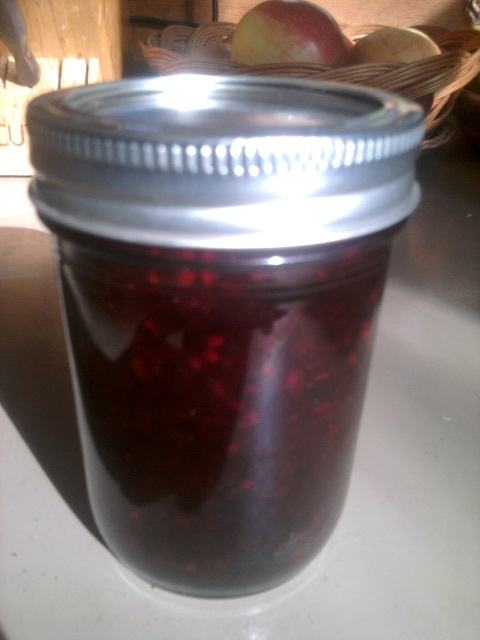 We also make Huckleberry Jam, from wild Idaho and Eastern Oregon Huckleberries. And it’s not a mix of berries, we only use Huckleberries for this delicious Jam. 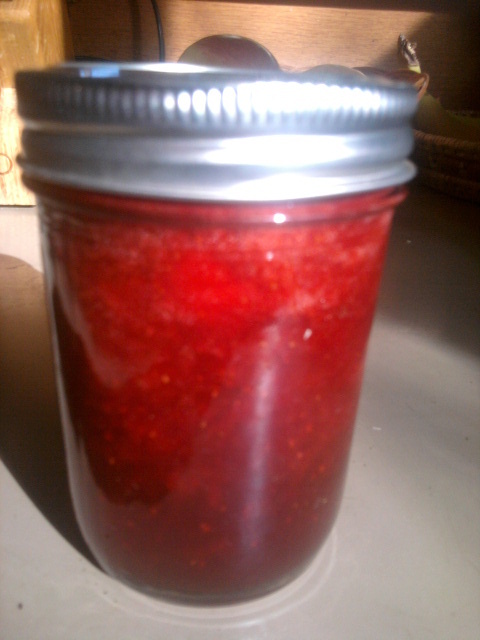 And since Huckleberries are so precious and time consuming to pick, we make this Jam in 4oz. jars instead of 8oz, but we still have to charge $7. Thanks for your interest. Please let us know if you have any questions, or what you would like to order. 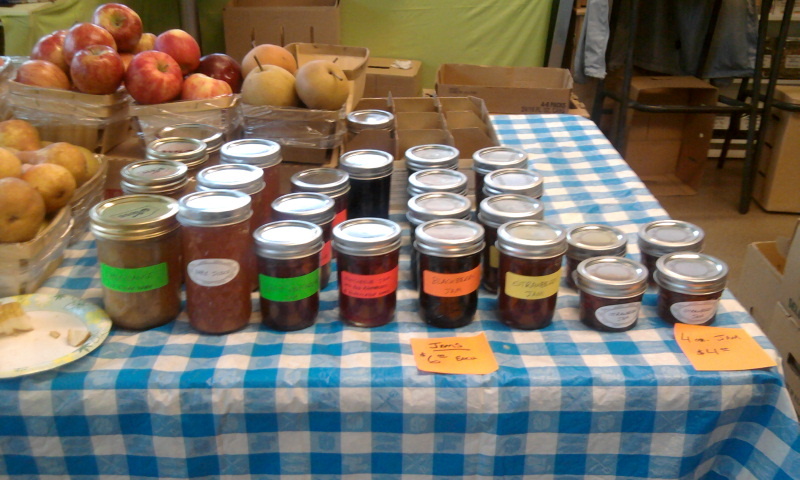 All Of our Jams and Jellies on Display! 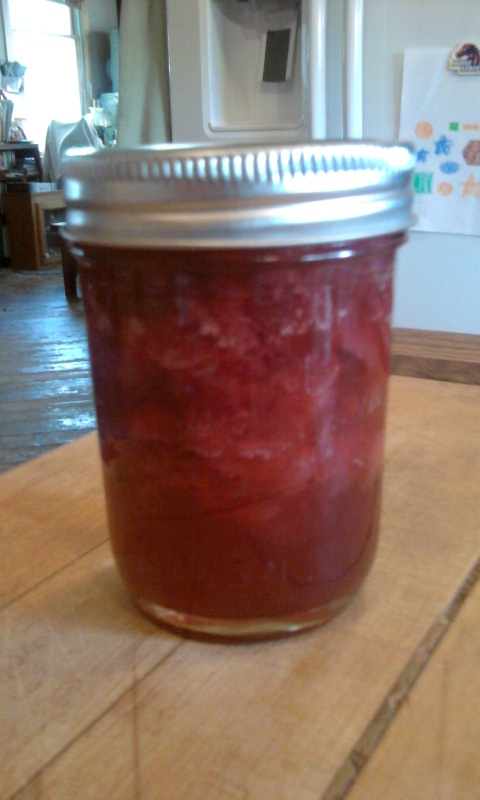 I just received TWO jars of your raspberry jam in the mail FOR MOTHERS DAY! When I return to Boise I will be sure to come on a Saturday so I can stock up.